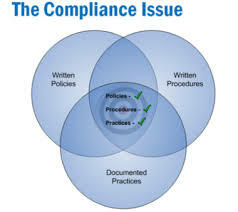 Compliance means comply something i.e. yield to the wishes another. The main aim of compliance is to ensuring the all labor rights and facilities according to buyer code of conduct. Their weekly working hour not more than 66 hours including overtime in a week. They have the approved manpower list. Rubber mats to every iron man. Fix wages in considering minimum wages which is declared by the government. Salary and wages given before 7th day of month. They have separate cargo entrance area (receiving and unloading) from the front side. They do not keep any partially filled/ completed cartons on the floor at the end of any working day. They keep it to finished goods store. They arrange security training program on regular basis for all employee of the factory.